As the name implies, telemedicine encompasses any medical activity involving distance. Today telemedicine uses electronic information and telecommunications, but the practice goes back to the days when sea captains would use ship-to-shore radio to obtain medical advice. Telehealth includes such technologies as telephones, facsimile machines, electronic mail systems, and remote patient monitoring devices, which collect and transmit patient data for monitoring and interpretation. What’s so Great About Telemedicine? Telemedicine can help an injured or sick person get proper treatment sooner, particularly in remote or rural areas where medical help or specialists might be far away. In addition, telemedicine technologies deployed in ambulances can help speed diagnosis and the initiation of important, potentially lifesaving interventions. The University of Rochester Medical Center in Rochester, N.Y. has a telemedicine center. Its director, Kenneth McConnochie, MD, MPH, told a forum that telemedicine can handle 85 percent of pediatric primary care visits and 40 percent of emergency room visits. The average telemedicine visit there costs $75, or one-tenth of the cost of a typical ER visit. Telemedicine also saves patients time and money. The state of Georgia launched a telemedicine partnership in 2005 to provide better health services to the state’s large rural population, and to address a shortage of specialists. Paula Guy, CEO of the nonprofit Georgia Partnership for Telehealth, reported that a random sample of Georgia telehealth visits from 2011 saved the average patient travel time of 124 miles per encounter and a total of nearly $762,027 in fuel costs over 40,009 telehealth visits. The combination of sophisticated videoconferencing, electronic medical records, and telemonitoring can revolutionize medical care for all patients. The challenge lies not in the technology, but the processes and policies that govern healthcare delivery and payment. Parity laws help bring telemedicine into the mainstream. Full integration of telemedicine into the medical system will depend on the healthcare industry’s ability to address barriers, especially insurance reimbursement models; liability rules; and licensure rules that prevent healthcare providers from offering telemedicine consultations across state lines. Some of the country’s largest health insurers, including Wellpoint/Anthem, United Healthcare and Aetna, are convinced telemedicine is here to stay. They will pay for telemedicine services. Already, a couple of smartphone apps allow users to connect with a doctor remotely. Doctor on Demand claims to be the largest provider of video physician visits in the country. Doctors connect with patients via smartphone or computer so they can discuss and/or look at a specific problem. 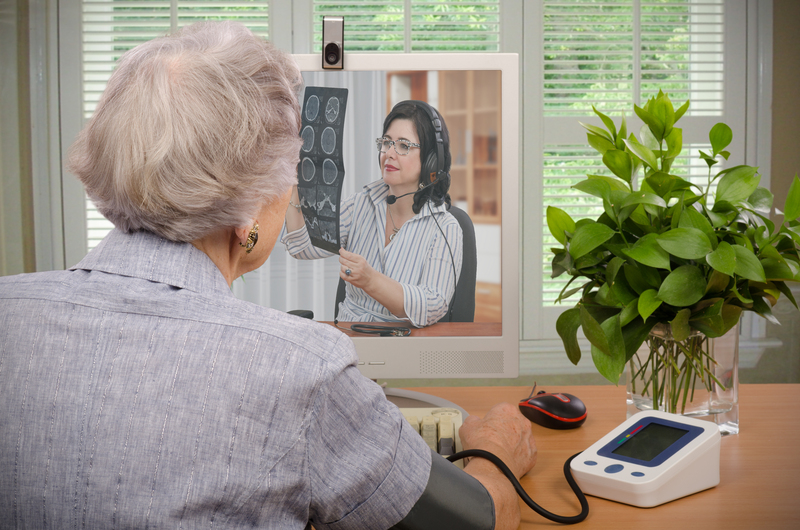 Although telemedicine might never replace a face-to-face doctor’s visit, it has its place. It could save money and allow patients in remote areas to see the doctor more often. Does your health plan cover telemedicine? Contact USI us for a plan review and discussion of your organization’s health benefit program.